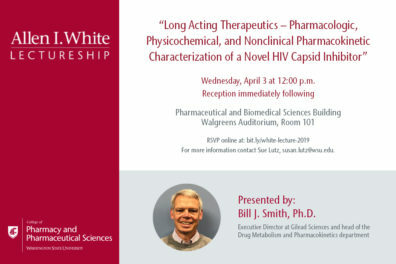 The College of Pharmacy and Pharmaceutical Sciences will be hosting a 3-Minute Thesis (3MT) competition again this year. 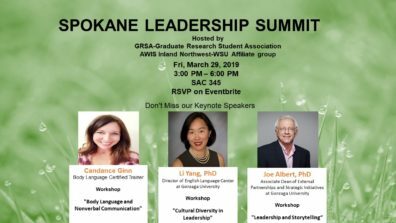 The 3MT event is part of an event sponsored centrally by WSU. 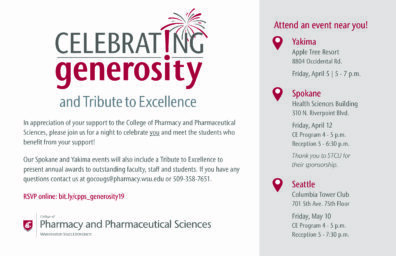 The winner of the college competition will advance to the all-WSU competition, which will be held on March 27 in Pullman. The college competition will be held on Friday, March 8, 2019 from 1-2pm in Walgreens Auditorium, PBS 101. Join us in Seattle! 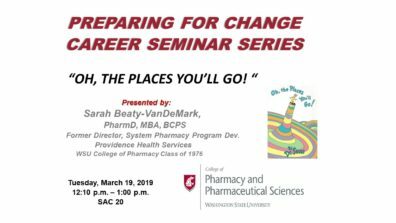 We are excited that the 2019 American Pharmacists Association (APhA) annual meeting will be in our home state! 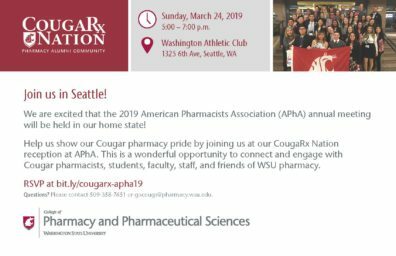 Help us show our Cougar pharmacy pride by joining us at our CougaRx Nation reception at APhA. 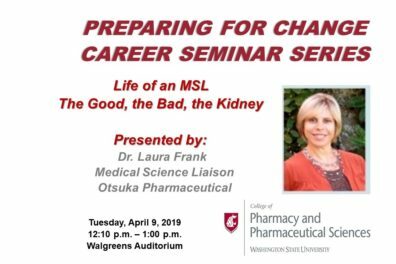 This is a wonderful opportunity to connect and engage with Cougar pharmacists, student, faculty, staff and friends of WSU pharmacy. 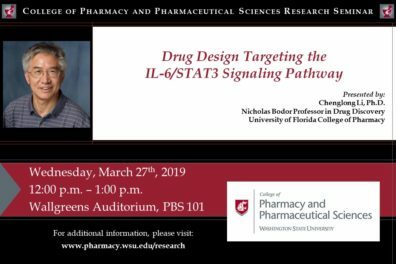 Research Seminar | Chenglong Li, Ph.D.
Pharmaceutical and Biomedical Sciences Building, Walgreens Auditorium, 205 E. Spokane Falls Blvd. Research Presentation by Chenglong Li, Ph.D.
Apple Tree Resort, 8804 Occidental Rd. Health Sciences Building, 310 N. Riverpoint Blvd. Pharmaceutical and Biomedical Sciences Building, 205 E. Spokane Falls Blvd.